Molecular genomic (oncogenetic) tests - Israel. Molecular genetic tests, also called genomic tests, are one of the most important tools of precision (personalized medicine) in cancer treatment. Precision (personalized) medicine strives to give every patient the most appropriate treatment. In order to do this, the Israeli oncologist should be familiar with the cancerous tumor as closely as possible. Molecular tests help our oncologists as they produce a genetic profile of tumor cells of a certain patient. Clinical trials for most genetic variants are performed in a laboratory of molecular genetics or molecular pathology. Next Generation Sequencing is an advanced technology that is used for analyzing the tumor in order to determine which genes, known to be related to cancer, play a role in the formation of the patient’s tumor. The innovative technology enables rapid and accurate scanning of a very large number of genes and is used in these tests to scan more than 300 genes in tumor cells. This test allows to determine sequence of bases of each gene. Changes that occurred in these genes are exposed in cancer cells, called somatic mutations, that exist in the tumor cells but are not transmitted by inheritance from a parent to his child. Lab specialists enable to identify using the tools of bioinformatics and computed databases which of the mutations found in the tumor is important for the development of the cancer. On the basis of this information they can check whether there are known drugs or treatments in clinical trials that can be used to fight the specific tumor. HOW INFORMATION OBTAINED FROM THE TEST HELPS ISRAELI ONCOLOGISTS? – To identify potential drug therapy – as an example, patients with advanced metastatic cancer who have used standard drug therapies may benefit from the results of such a test if it raises additional treatment options that were not previously considered. – To improve clinical diagnosis – when the source of the tumor is not known, however, metastatic process reveled, or when it is a rare type of cancer, a genetic and molecular profile of the tumor cells can assist in accurate clinical and pathological diagnosis. – To develop new treatments for cancer, such as targeted biologic and immunotherapy, based on knowledge of the genetic processes that occur in the tumor and on the identification of weak points for intervention in this process, based on the molecular mechanisms of the specific tumor. The more information accumulates on the relationship between certain genetic changes and the development of cancer, the more targeted treatments will be developed. – To promote enriching clinical knowledge and developing additional treatments for cancer – since the results of the molecular test are based on knowledge gained from previous cases, the more extensive the information will be, the more reliable it will be and the more accurate it will be used. 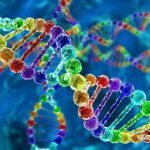 Many studies conducted in recent years have shown a higher survival rate in patients who received targeted treatment than in those who did not have genetic changes or were not treated according to the tumor’s unique genetics. When patients received targeted treatment adjusted for genetic changes identified by molecular genetic (genomic) tests, patient survival, response to treatment, and disease stability were significantly better. In a study conducted in triple negative breast cancer patients, it was found that in patients who received targeted treatment adapted to the genetic changes determined in molecular (genomic) tests, the progression of the disease was slower than those treated for genomic changes or patients without genomic changes. Due to molecular genomic tests, Israeli oncologists have adapted the treatment personally to the particular patient – according to the tumor origin and according to the patient’s personal needs. But today, the term precision (personalized) medicine in oncology refers to how the genetic characteristics of the tumor dictate the type of treatment given. A comprehensive and accurate genome diagnostics of the new generation enables physicians to provide focused treatment based on the specific genetic characteristics of the particular tumor. How do genomic changes cause cancer? Each cell of our body has a detailed set of information that provides instructions to cells, which they need to carry out, develop and reproduce. This information is stored in DNA (inherited genetic material). Under normal conditions, old cells die and young cells divide and form new healthy cells. Each new cell has an exact copy of DNA. Genetic changes can occur in DNA.